Celebrate this year’s NC Statewide Star Party by adventuring “To the Moon and Beyond”. Our knowledgeable staff will provide high powered binoculars and telescopes for high-quality viewing and will feature astronomers from the Chapel Hill Astronomical and Observational Society (CHAOS), NASA, and our very own Durham Parks & Rec! Dress for the weather. This program is free and does not require registration. Children must be accompanied by an adult. In case of a cloud out, the program will be held Saturday, April 13. Saturday, April 6 @ 11 a.m.
Have a blast while reliving 1969! Join Durham County Library to hear and share stories about the historic moon-landing, and watch footage of the Apollo 11 Space mission. Durham Habitat for Humanity will host a representation of typical 1969 Livingroom. Feel free to take a seat and watch footage on an old TV of Neal Armstrong and Buzz Aldrin walking on the moon almost 50 years ago. Friday, April 12 @ 2 p.m. – 6 p.m.
Join us at Fullsteam Brewery the afternoon before the Star Party to get hands-on with a few featured lunar actives and watch NASA’s restored footage while you enjoy a specially made beer to honor the moon landing. 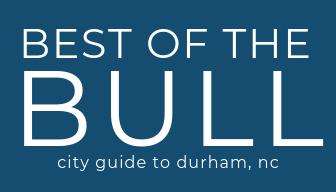 For questions, contact Ryan Sailstad at Ryan.Sailstad@DurhamNC.Gov or 919-560-4405 ext. 27237.